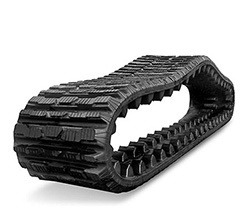 As NZ’s most comprehensive stockist of rubber tracks, the TUFF-TRAC range of rubber tracks will ensure your requirement is quickly, efficiently and cost effectively fulfilled. 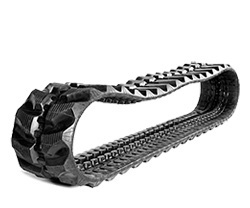 When you buy Tuff-Trac rubber tracks you buy peace of mind, our product warranty is the most extensive in the market and together with our ‘Guaranteed-to-fit’ policy, you can be confident that your digger will be ready to earn without delay. We have set out to ensure you maximise your profitability and we achieve that by working direct with producers removing agents or trading companies ensuring we can supply product at the best prices whilst taking an uncompromised stance on quality. We are pleased to announce that we stock New Zealand’s only aftermarket skidsteer tracks with continuous steel cording – all other tracks are either Kevlar or nylon based. The new technology of steel cording for even Skidsteer tracks has been tried and tested in Australia where operators are reporting OEM levels of performance at significantly less cost. Suppling rubber tracks up to 900mm wide, our high tech natural rubber compound contains a minimum of 75% natural rubber. Natural rubber is more dense and flexible than the cheaper and more commonly used synthetic and recycled alternatives increasing wear life for machines that get everything New Zealand’s terrain can throw at them. Tracks for more common machines such as Marooka MST800 and Komatsu CD110R are kept in stock whilst all other sizes are available on an indent basis. 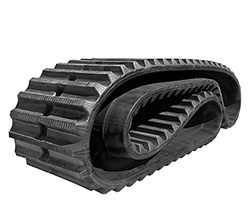 Our range of Rubber Tracks are complemented by rubber pads which are supplied from stock for steel tracked excavators including Case, CAT, Daewoo/Doosan, Kobelco, Komatsu, Kubota, Hitachi, Hyundai, IHI, JCB, Komatsu, Sumitomo, Takauchi, Yanmar and Volvo.